For those who read my blog you’ll know I love to shop local and to encourage others to do the same so there could be no better time to suggest a few local companies to you than in the run up to Christmas. I’ve compiled a list of local lovelies for all of your lovelies! 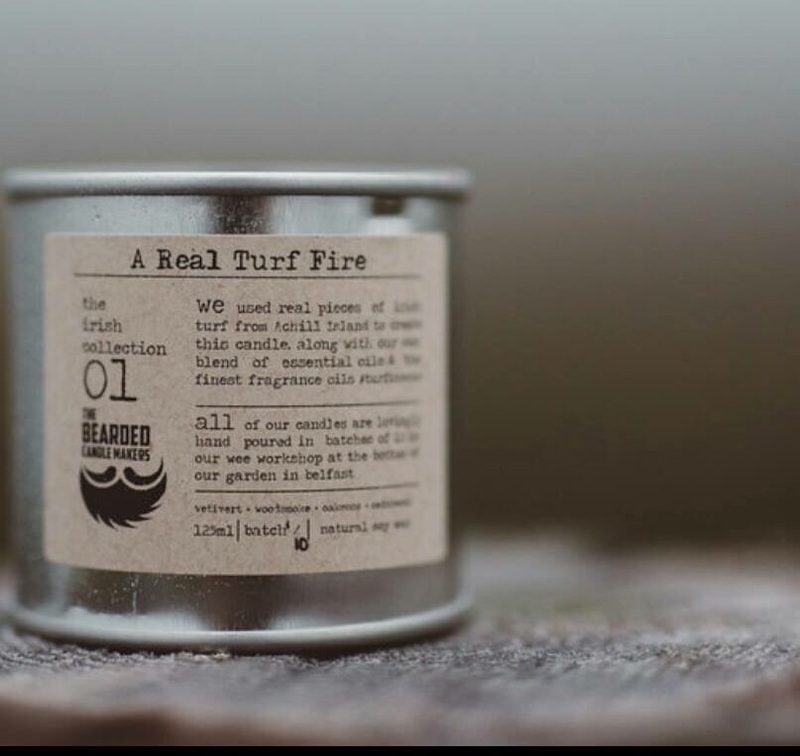 The Bearded Candle Makers Turf Candle – not normally considered a ‘manly’ gift this candle will bring out the Hunter Gatherer in your mate, as well as producing an earthy, homely aroma in contrast to the usual rose scent. Candles are available from St. George’s Market, the Fine & Dandy Market and the Market @ Ballyhackamore in Belfast, as well as on Etsy. Shortcross Gin – from the award winning Rademon Estate Distillery, this is a classical gin with a unique twist. Think armchair, turf fire and a large glass of gin and tonic in hand! 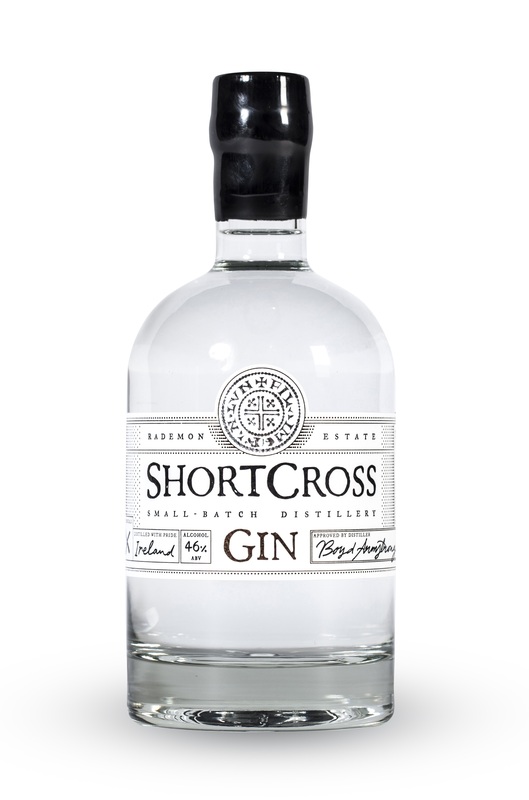 Shortcross Gin is available throughout Ireland, for stockists check here. 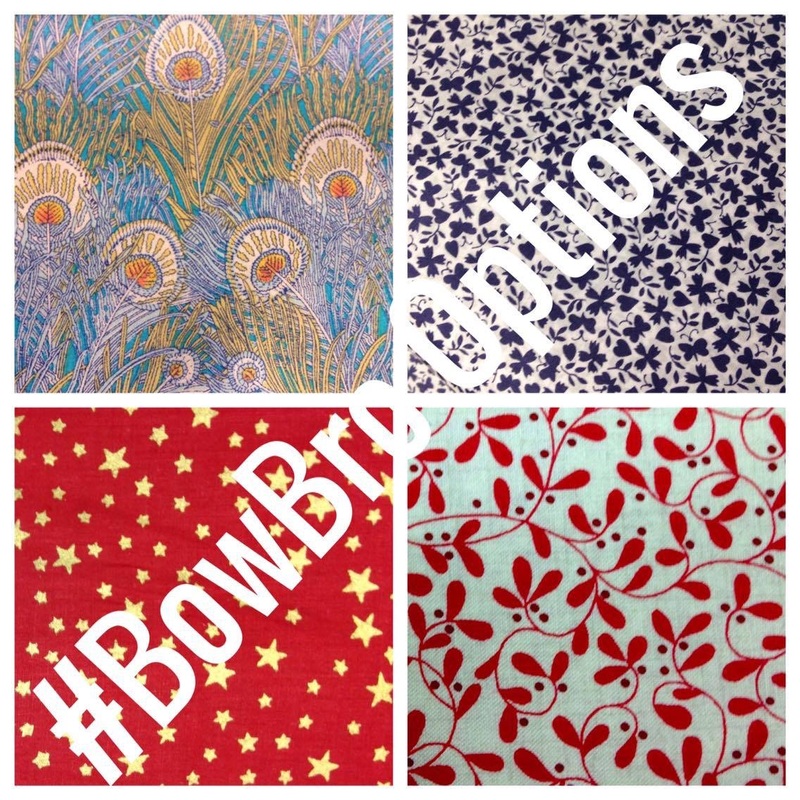 The Brobow – a creative venture by County Down girl Sara-Louise Martin. 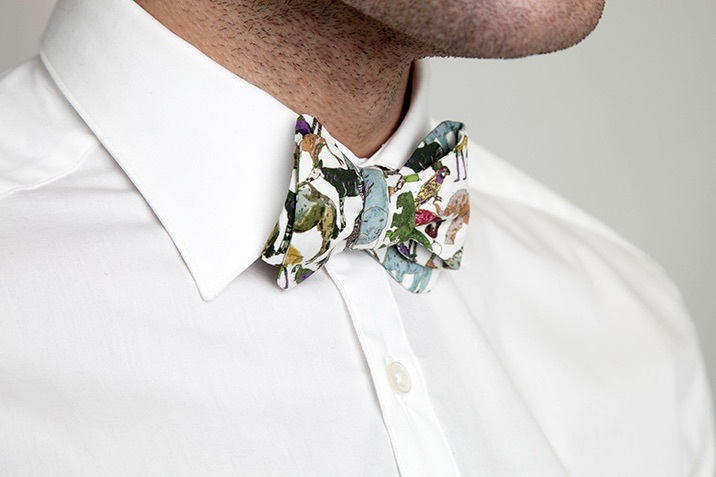 All the bow ties are made in Liberty fabrics, they cost £30 (plus P&P) and profits from orders placed in November will go directly to an anti-trafficking charity. I do love a purchase with a purpose! To order PM Sara-Louise here. 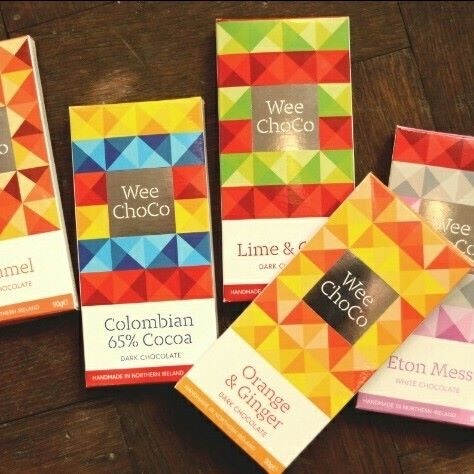 Wee Choco – this is a Community Interest Company who hand-craft a range of delicious chocolate products. Their chocolate will make the perfect stocking filler, Lime and Chilli is a popular choice. Not only do you get to enjoy yummy chocolate but your money goes towards supporting and benefiting people with learning difficulties and autism in the local community. Find out where you can buy Wee Choco delights here. The Elska Infinity Necklace – Simplicity, daintiness and the embodiment of what Lines & Current is about. This is your ‘you & me’ necklace, your ‘sister & sister’ chain or your ‘only I really know why I bought it’ charm. Designed to be worn, time and time again, the ELSKA infinity necklace will be your forever-pal. Minimal but with meaning. L&C is dedicated to following the current and giving 10% of profits to causes that bring hope and change to peoples lives. For November and December they are partnering with STOREHOUSE – a wonderful local charity instilling dignity and practical care to individual and families. You can buy the Elska necklace and more here. 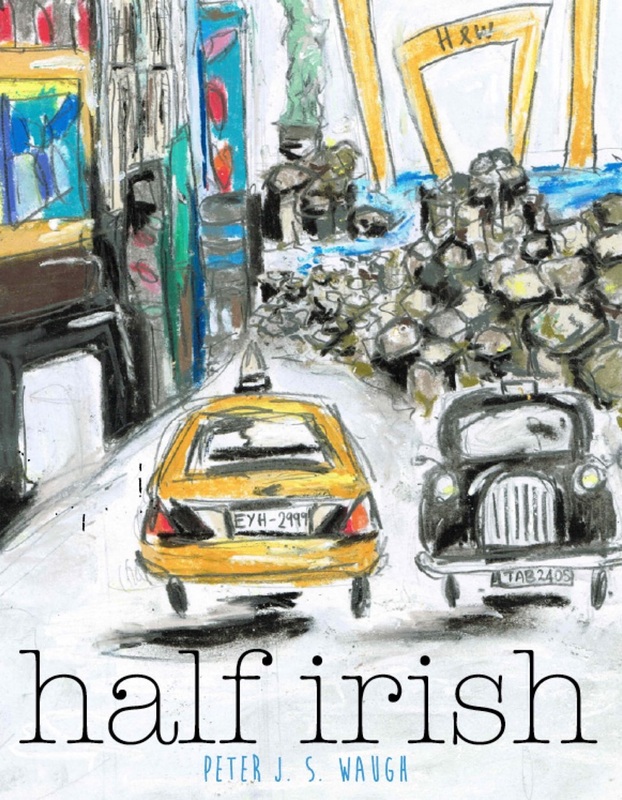 Half Irish – the debut novel by the talented Irish author Pete Waugh. 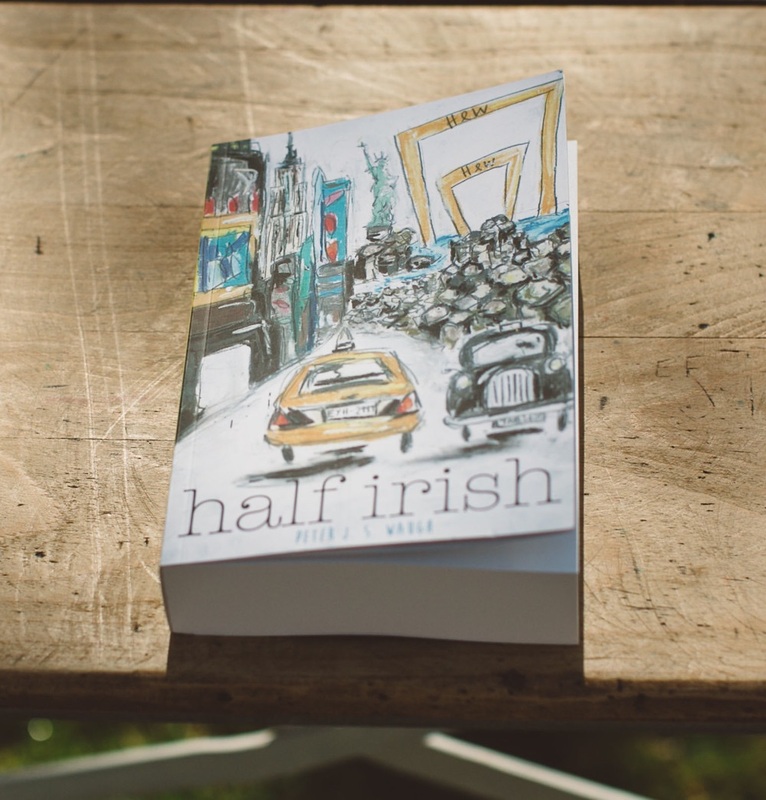 Follow 17-year-old Tyler from the busy streets of Manhattan to the empty beaches of Ireland. From gigging in coffee shops in Tribeca to standing on the Cliffs of Moher, busking in Belfast to late night drives with his beautiful summer girlfriend Tabitha. A story of hope, love, loss and self-discovery. You can buy the novel here. 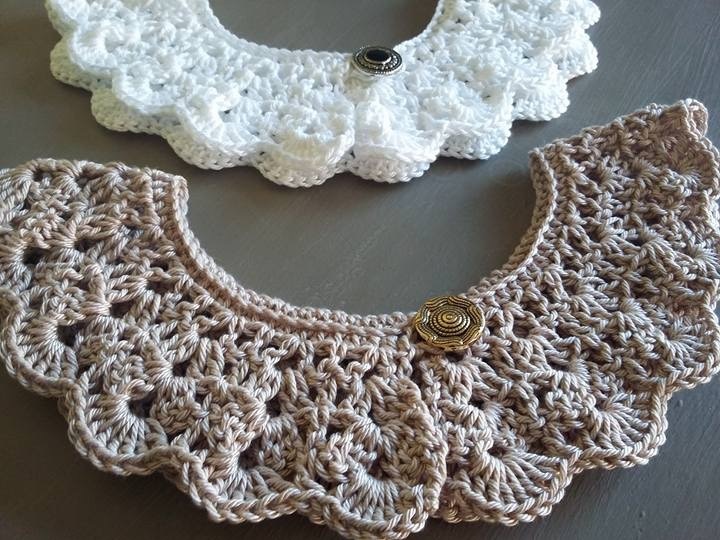 Crocheted Collar by The Painted Bunting – This is one of my favourites having purchased my own collar recently. It looks classic and much more expensive than the mere £5 it cost to buy, check out more from The Painted Bunting here. 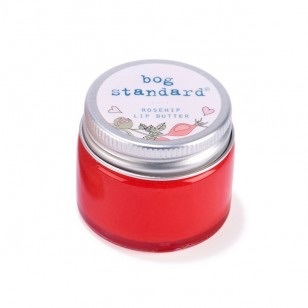 Bog Standard Lip Butter – another little stocking filler, this lip butter is made by Bog Standard a company based in Newtownards. At £5.95 it won’t break the bank. Find out more about Bog Standard and their products here. 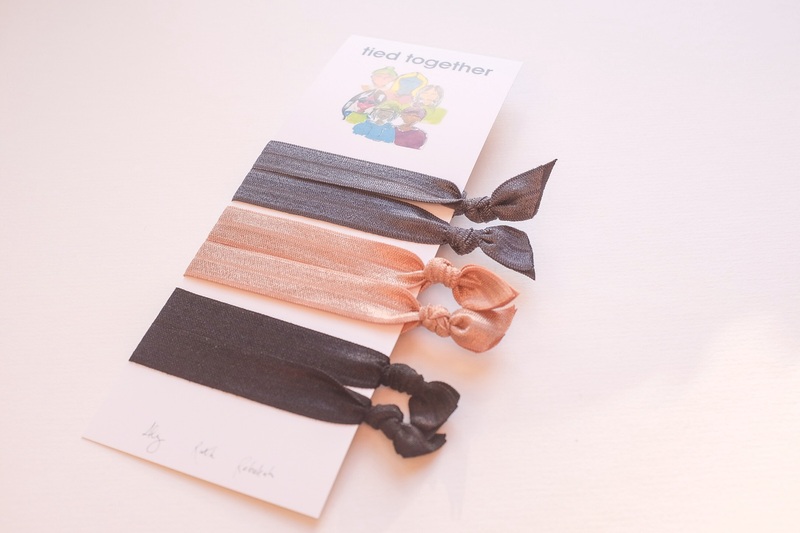 Tied together snag free hair ties – a creative collaboration between Aly Harte, Rebekah of Lines & Current and Ruth of The New Portals, these snag free hair ties are perfect as a stocking filler this Christmas. They cost £9.99 (free P&P) and the packaging also doubles up as a bookmark with some artwork by the girls themselves. Buy your hair ties here. 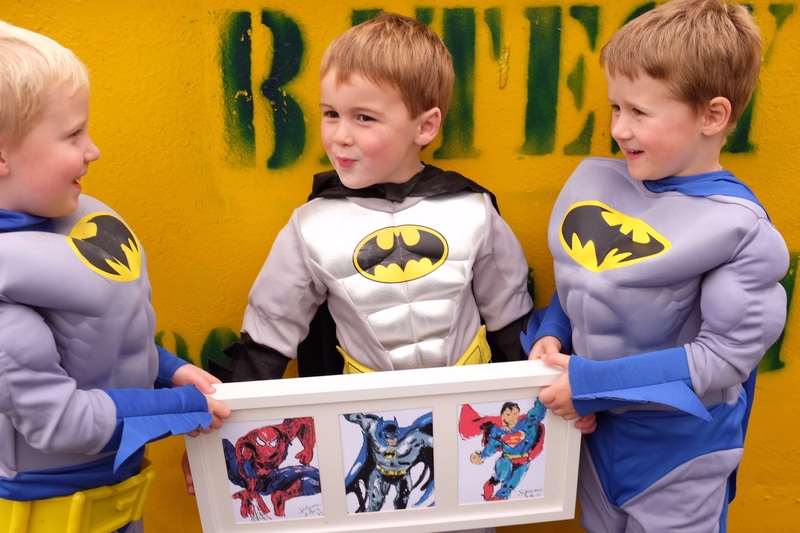 Superhero Prints by Aly Harte – what little boy doesn’t want to be a superhero?! Why not decorate their room with their legends. Available to buy here for £30 per print. Please note the cute models are not included! 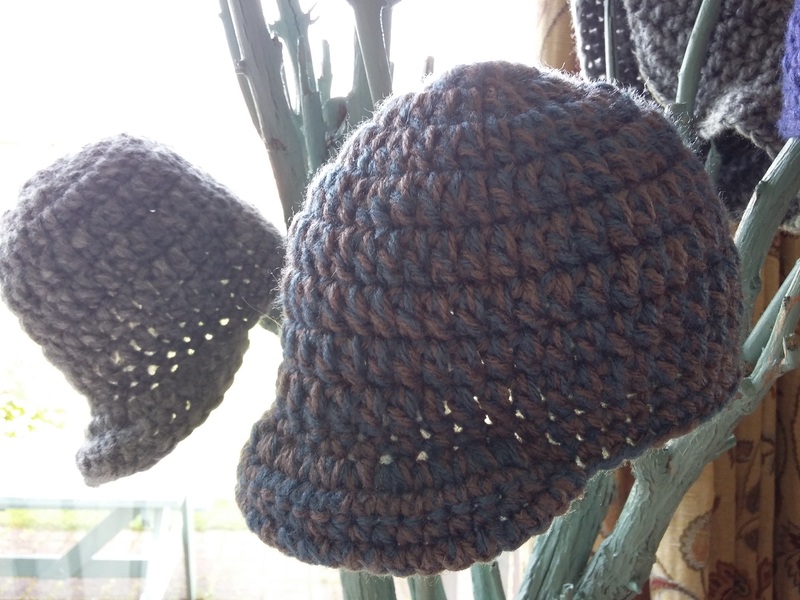 Wool Peak Cap by The Painted Bunting – it’s not as easy to find cute clothes for boys as it is for girls but these peak caps are a steal at just £6. Sure to keep your little man snug and warm this winter! Once again you can order them here. 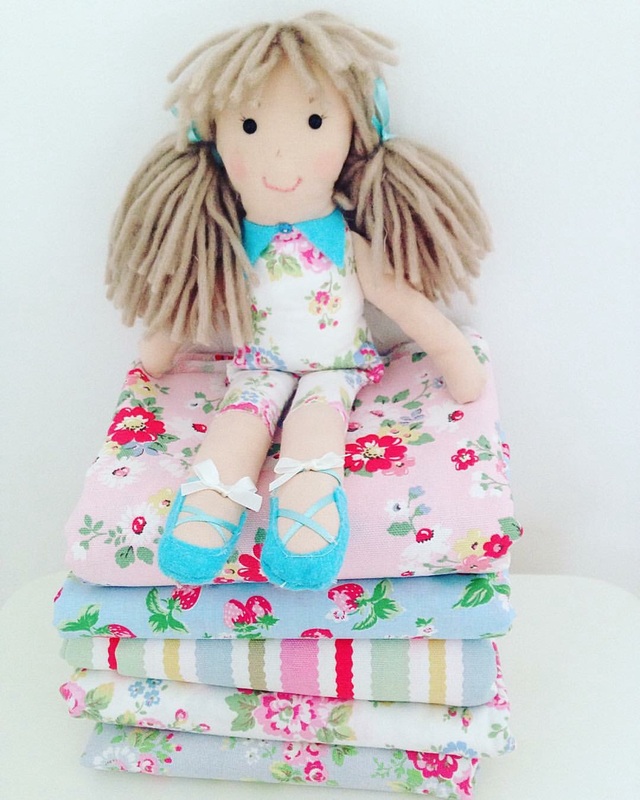 A unique rag doll from Grace James – handmade by Lucy Evangelista, these dolls are made to order so can be personalised for your own little ones. Such a unique and special gift for a little lady this Christmas time. To place an order find out more here. 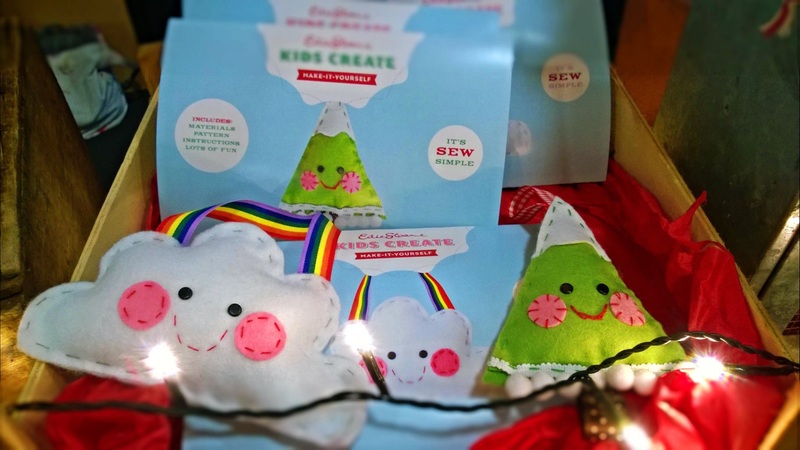 Kids Create craft set by Edie Sloane – crafting with your little ones is time well spent but not all of us our crafty by nature,have no fear Karen Weston of Edie Sloane is now offering easy-to-make craft sets. These are only £5 and the results will be enjoyed for years to come! Contact Karen here. Some of our readers are also big fans of Janice Armstrong over at Gathered Threads who is now selling a DIY hairband set for just £8, check it out here. Blue Ridge Craft Co Lantern – based on the North Coast the Blue Ridge Craft Company produce bespoke handmade lanterns, the likes of which I haven’t seen anywhere else. They offer festive designs for this time of year also. Lanterns cost around £27 and come in exclusive jute gift bags. You’ll find more information here. 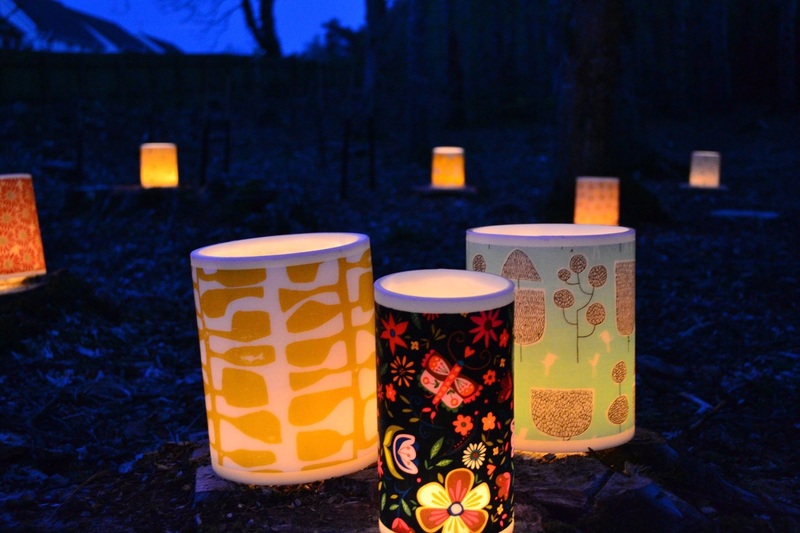 Lanterns are available to buy from the Market @ Ballyhackamore and Studio Souk in Belfast. Deli Muru Gift Sets – hand made by local girl Kay Armstrong, these chutneys are divine . The perfect gift to take to family and friends this Christmas time. 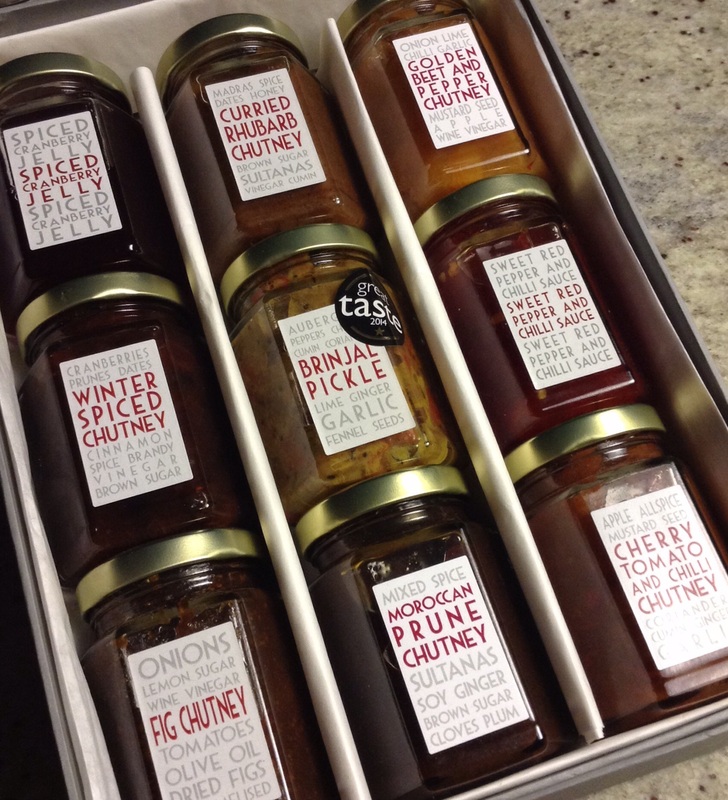 A large gift box containing nine chutneys can be bought for £32, a small box of three is £12.50. Get your orders in quick here. 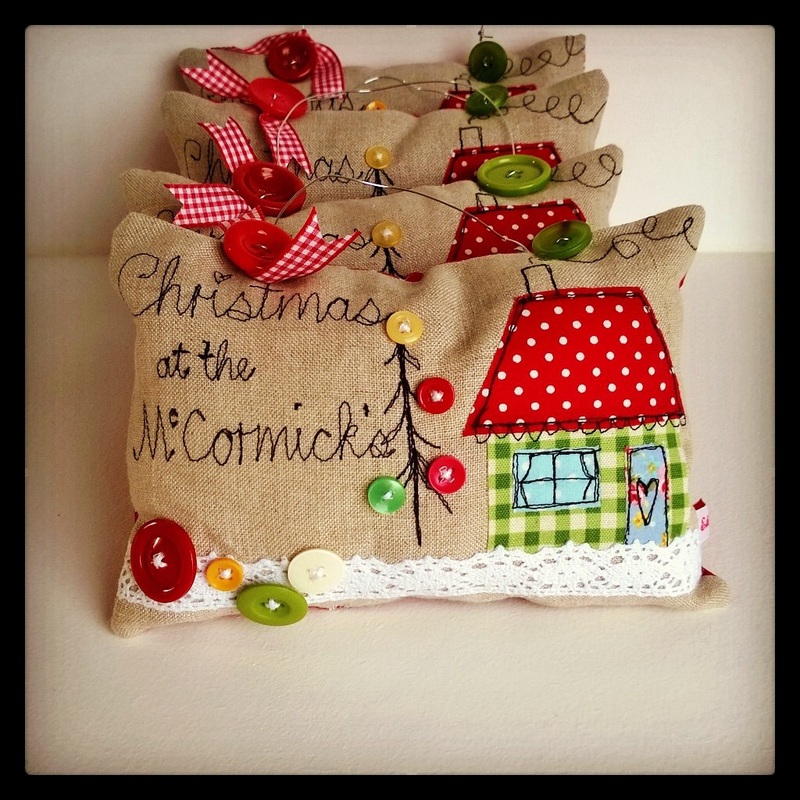 Personalised Christmas Decoration by Edie Sloane – nothing says it’s Christmas in our house quite like a new Edie Sloane Christmas decoration. This year the decoration of choice is this personalised one. You can order your own version here. Baked by Jayne shortbread – this melt in your mouth shortbread is just the thing for rewarding those hard-working teachers at Christmas. 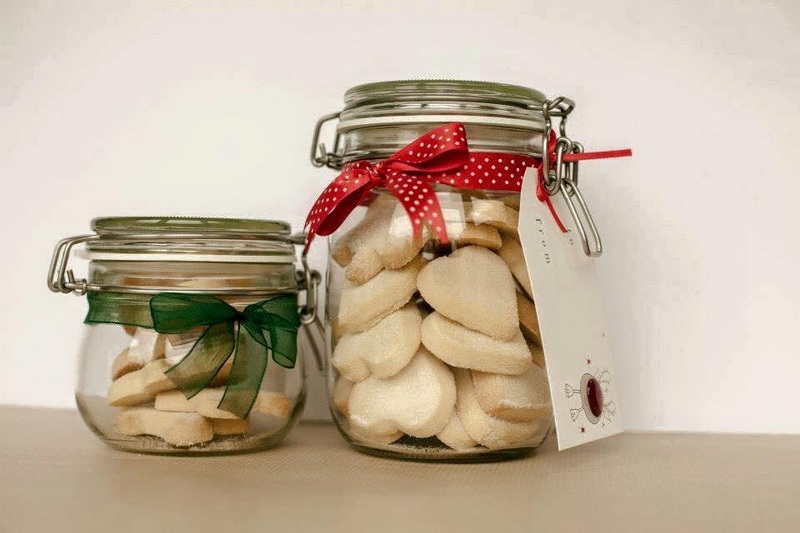 Large jars cost £11 but get your orders in quick as orders are set to close soon! Find more information here. 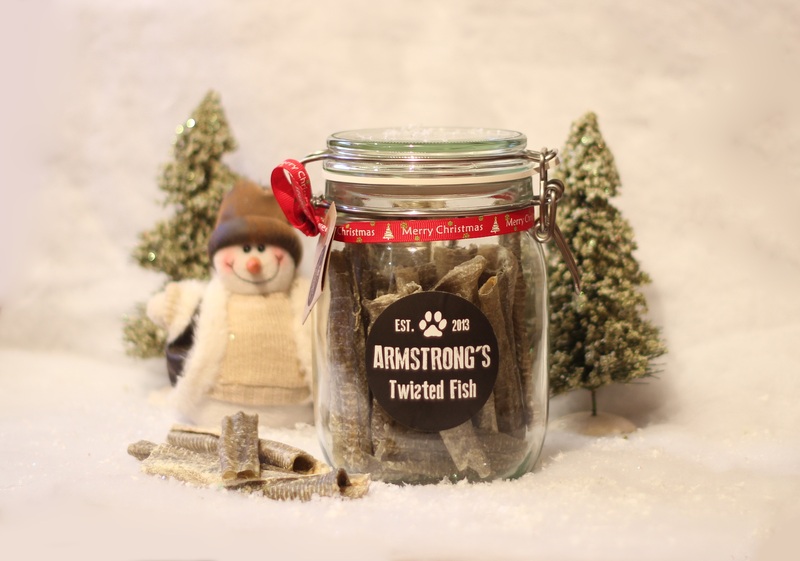 Armstrong’s Twisted Fish Dog Treats – I love everything about this company. They collect their fish locally and then hand make their range of premium natural dog treats, they also print the majority of their own packaging to give the treats a very handmade feel. Personalised Santa Paws packaging is now available for your pet. These products are available at a number of local markets or you can buy them here. We are fortunate in Northern Ireland to have so many gifted people on our doorstep so why not encourage them and support your local economy this Christmas time!